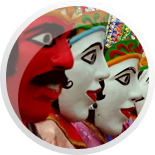 Diplomatic Visa is given to foreign citizens bearing diplomatic passports, for the conduct of diplomatic assignment in Indonesia. Two 3,5 x 4,5cm colour photographs of the passport bearer. The original diplomatic passport with at least 6 months validity from the date of entry in Indonesia. A diplomatic note confirming the person′s diplomatic assignment. Service Visa is given to foreign citizen(s) bearing service passport(s), on assignment to Indonesia for non-diplomatic purposes. Two 3,5 x 4,5cm color photographs of the passport bearer. The original passport with at least 6 months validity from the date of entry in Indonesia. A diplomatic note confirming the person′s assignment as non-diplomatic in nature. Nationals of any country not included in the list of the countries that eligible for Visa-Free Visits, must have a visa and should submit their application accordingly. 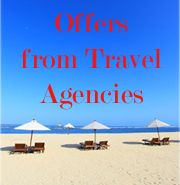 The maximum length of stay is 60 (sixty) days, and can not be extended/ transfer. Receipt of visa payment through bank transfer. 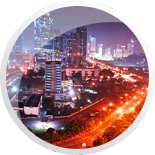 This visa is given to applicants going to Indonesia for normal business activities (including attending a conference/seminar), which do not involve taking up employment, or receiving any payments whilst in Indonesia. The maximum length of stay is 60 days. Supporting letters, either from the applicant′s firm in Budapest or the applicant′s sponsor/counterpart in Indonesia setting out the reason for the visit, details of the duration of the proposed visit, and responsibility for accommodation/maintenance costs. A Letter from the conference host setting out details, including the nature, duration and program of the conference/seminar. This visa is issued to applicant who is going to Indonesia for a social/cultural visit, for example, visiting relatives or friends who live in Indonesia; visiting social organizations with the same type of activities; for exchange visits between educational institutions, carrying out research, and attending training program in Indonesia. A person granted a visa for study, research or training is not permitted under Indonesian law to take up employment, and may not remain in Indonesia for this or any purpose other than that for which the visa was granted. Evidence of obligation in the applicant′s country of permanent residence (e.g. letter from the employer/college certifying the applicants′ intention to return there after the visit to Indonesia). Evidence of obligation in the applicant′s country of permanent residence (e.g. letter from the employer/college/school certifying the applicants′ intention to return there after the visit to Indonesia). 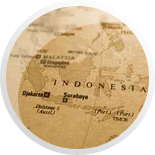 Joining husband and or a parent who is foreign national in possession a Limited Stay Permit or who is an Indonesian citizen, for the wife and/or single, legitimate child/children who is/are under 18 years of age. 1. An applicant who intends to join an Indonesian national husband or parent, or a foreign national in possession of a Limited Stay Permit is required to enclose a marriage certificate and /a birth certificate. 2. An applicant who intends to perform activities in the field of religion/missionary work, research, social work or education, must enclose the original letter and photocopies of the recommendation from the related institutions/Technical Department. 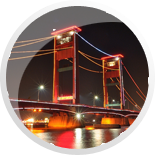 Multiple Entry Visa is only available for those who has an authorization entry permit from the Directorate General of Immigration in Jakarta. 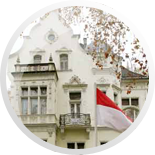 Without the Imigration Telex, the Embassy of the Republic of Indonesia can only issued a Single Entry Visa.